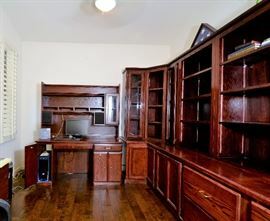 Beautiful Office Suite of Furniture. It comes apart in sections. Most comfortable soft brown sofa with a hue of red and hobnail details. 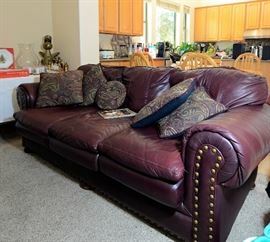 There are 2 of these sofas and a matching ottoman. 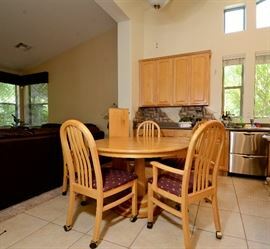 Round Kitchen Table with leaf and 6 chairs. 2 of the chairs have arms. 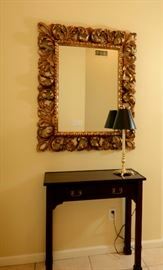 Large unusual copper finish lamp on separate pedestal. Lots of florals for sale too. Bigger than life size Sun Devil Art. Great for a man cave! 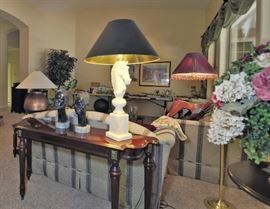 Pair of Italian black busts signed by artist. Very heavy marble horse sculpture lamp. Just gorgeous! 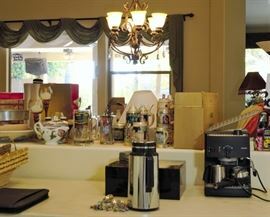 Cappuccino maker and all kinds of kitchen items including lots of assortment of wine related items for sale. 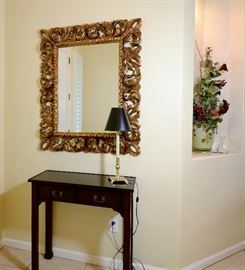 Ornate mirror and hallway table or use for a small desk or nightstand. Lots of gorgeous florals fo rsale. Italian Sculptures brought back from Italy. Lots of colorful dishes for sale. Items new in boxes for sale. 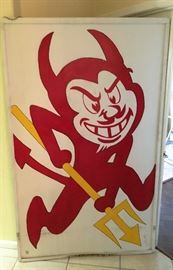 Sun Devil lamp for sale. Bedside table used in hospitals. 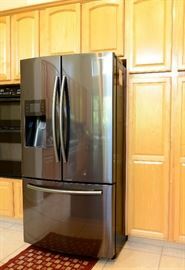 Great for reading, eating, playing games. 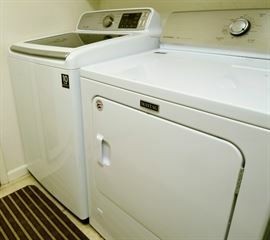 Rolls easily from room to room. Computers for sale. Laptop too. High end Shoes like new. Sofas for sale. Horse sculpture lamp for sale. Loveseat for sale too. Pillows, purses. more florals, side table, baskets. Carnival Glass and football dishes. Florals and antique tables for sale. 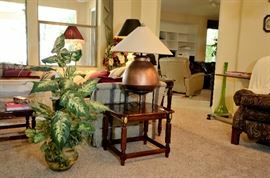 Wine rack and very large silk tree. Whole room of gorgeous office furniture. Computer for sale too. Office chair not shown for sale. Candle holders in box for sale. Corner iron shelving can be used inside or outside.